The Hugh Downs School of Human Communication is a program offered through the College of Liberal Arts and Sciences at Arizona State University (ASU). It was named after television journalist Hugh Downs, who has made his career in communication. 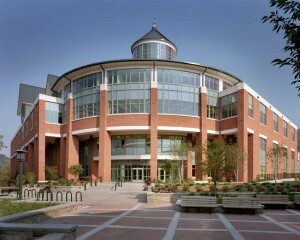 The College of Liberal Arts and Sciences is the largest of ASU’s college and considers itself the school’s intellectual heart. Located in Tempe, Arizona, the school’s focus is on teaching students about the powerful effect communication processes have on individuals, groups and society as a whole. The Hugh Downs School of Human Communication offers a doctoral communication program as well as undergraduate programs that emphasize key areas of communication. These include not only traditional areas of communications study but also unique programs that combine disciplines in order to address today’s communication needs. This program is designed to teach communication strategies that improve health care and to encourage young people to make healthy choices. This program is designed to teach communication strategies that manage and resolve conflict in the home, in the workplace and in public places and to address discrimination based on race, religion and ethnicity. This program is designed to develop the communication skills necessary to enable people to balance work and family life and to ease the transition of women who are re-entering the workforce. This program is designed to integrate current public relations and communication knowledge in order to positively impact America’s counter-terrorism and diplomacy strategies. This program is designed to encourage the study of human communication through development, exploration and creative methods. The Hugh Downs School of Human Communication offers students the advantages of studying under a distinguished, award-wining faculty. Both professors and graduate students are regular recipients of highly coveted paper and research awards, including multiple honors that were presented at the National Communication Association’s 2011 national convention.